Hidden double-sided magnets let you make a "sleeve" - No more billowing in windy weather. 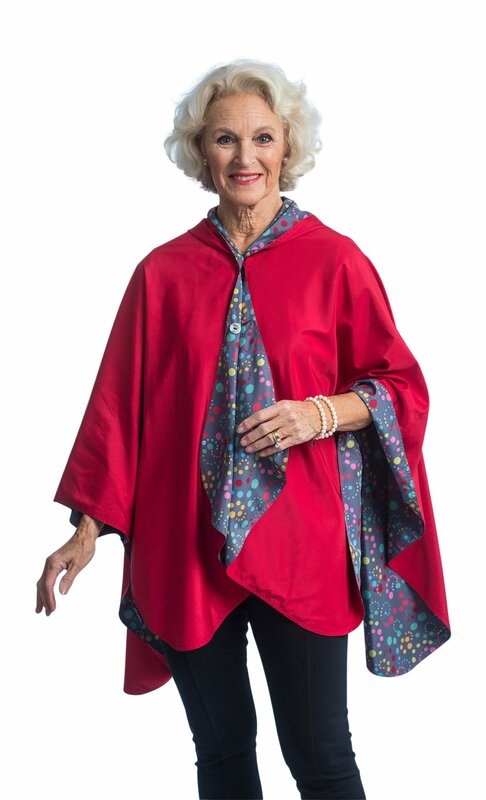 Hooded design of rain cape keeps you dry in wet weather. Rain rolls right off! Generous hood protects from wind and rain, yet much less bulky than a raincoat or jacket. One size fits most; two shell buttons for adjustable fit. 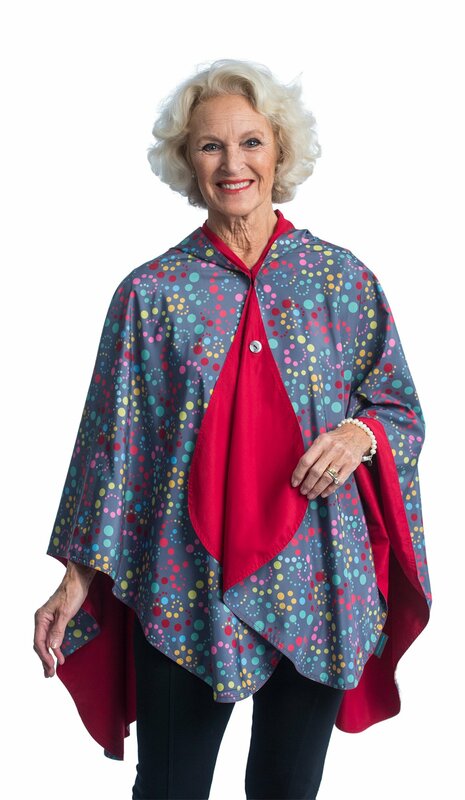 Reversible for two fashion choices - Rain or Shine! RainCaper provides complete rain coverage - all the way to the wrist! 23" shoulder to wrist. 30" neckline to back hem, 55" wide. Hours Monday - Saturday 10:00 a.m. - 6:00 p.m. Copyright Christy's Apparel & Accessories. All Rights Reserved. eCommerce Software by 3dcart.